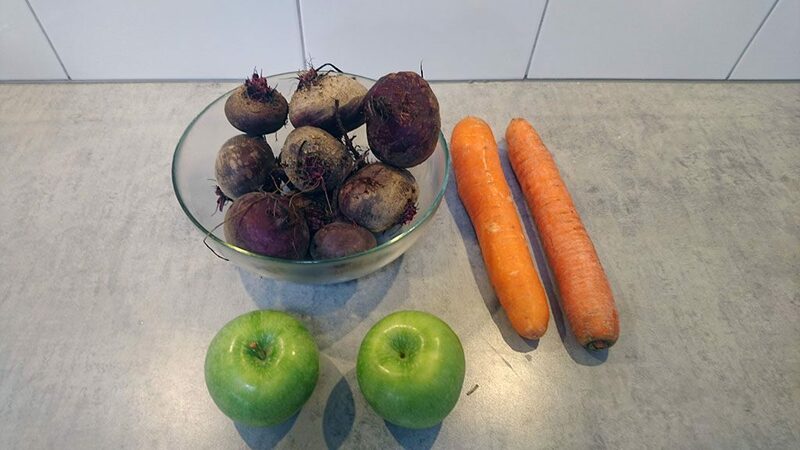 Thoroughly rinse the red beets, carrots and sour apples. REMOVE any stickers from the apples. SLICE the ends and ugly parts off the red beets. SLICE the ends off the carrots. CORE the apples and slice into small enough pieces that fit into the slowjuicer. 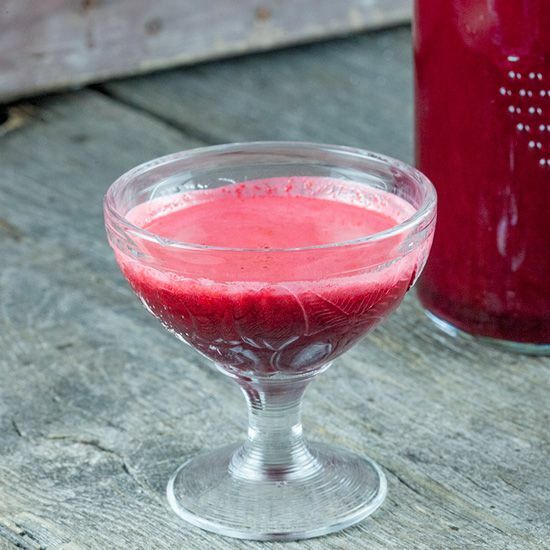 Repeat this step for the red beets and carrots. 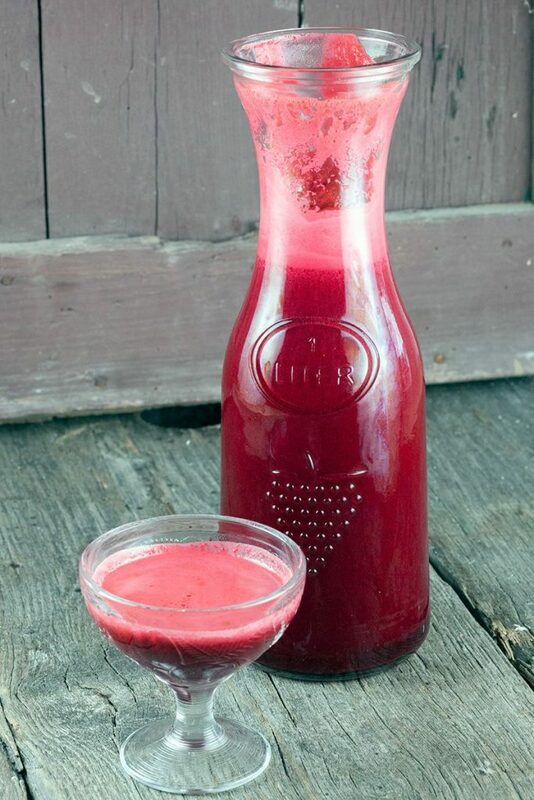 PREPARE the slowjuicer and push all the prepared ingredients through the machine. 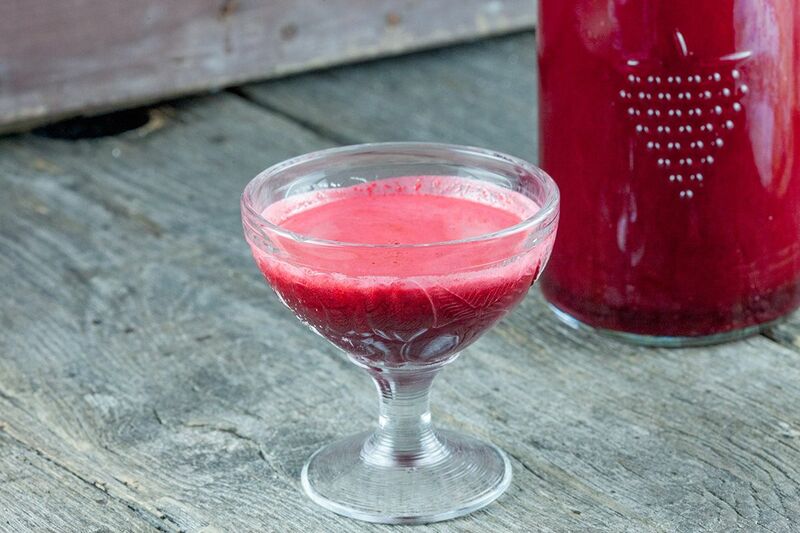 You can refrigerate the beetroot, apple and carrot juice for up to two days. Enjoy!